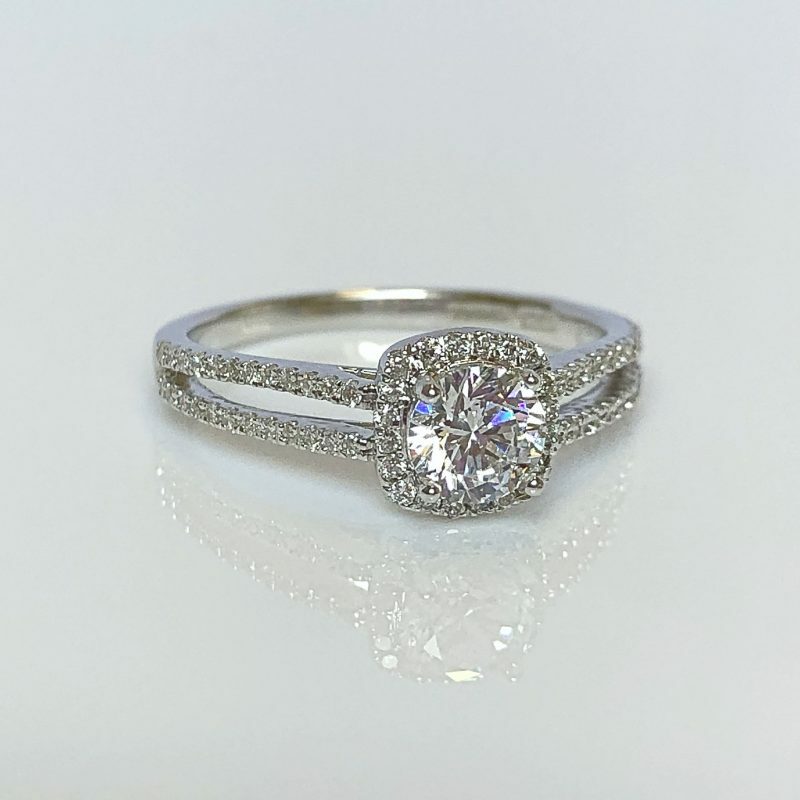 With a total diamond carat of 0.76ct, this beautiful ring is crafted in luxurious 18 carat white gold. 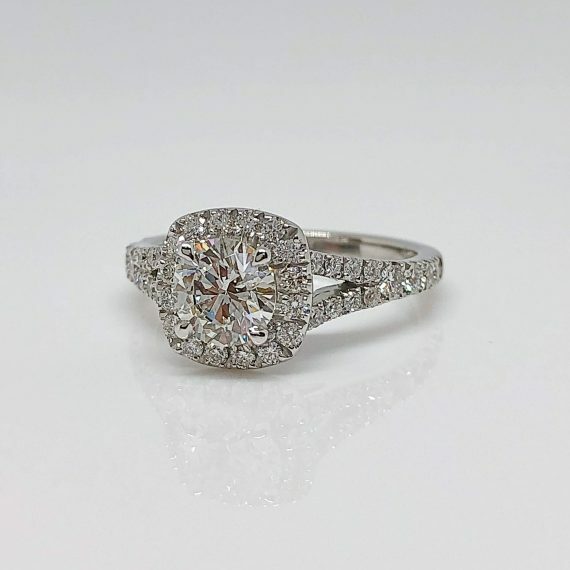 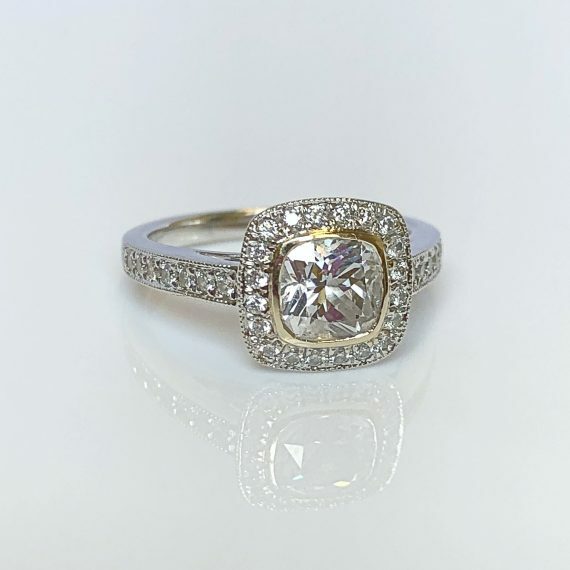 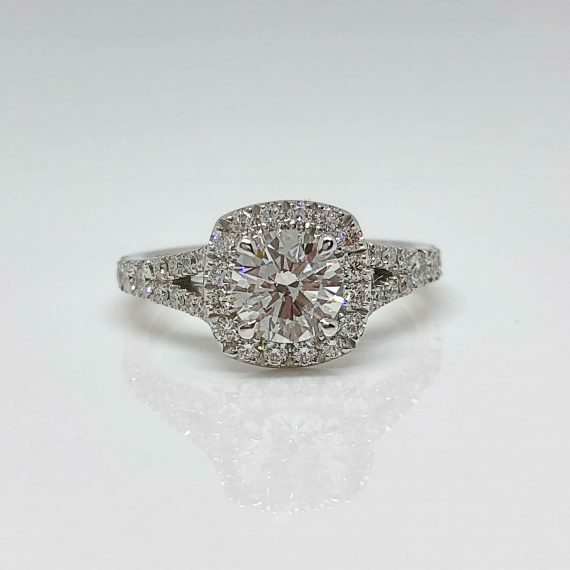 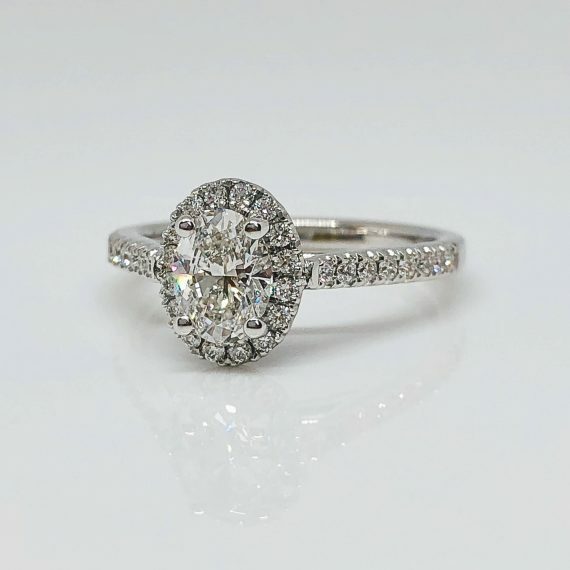 The centre stone is a shimmering 0.45ct round brilliant cut diamond in a secure claw settings and is surrounded by a diamond set halo cluster to create maximum sparkle. 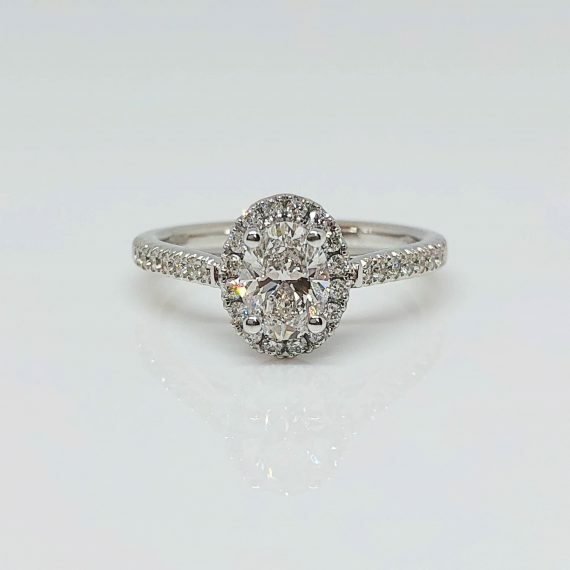 The overall design is accentuated by round brilliant cut diamond set split shoulders. 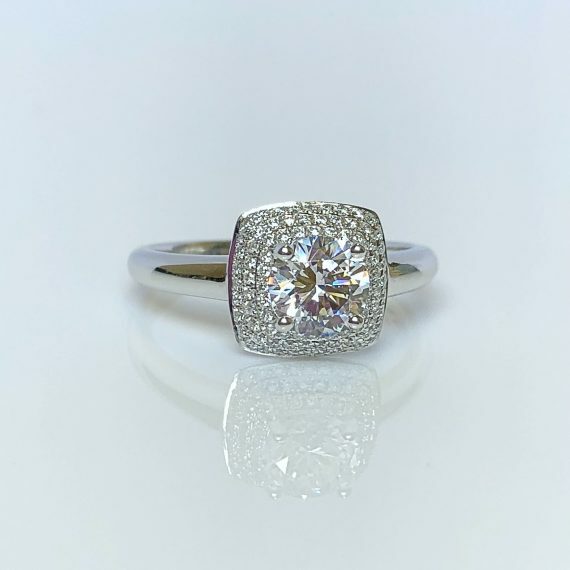 Featured ring is available from €3495.00.